The best kept secret of the Gulf of Mexico has been revealed: Panama City Beach is here to delight visitors with its endless summer weather and activities all year round. While many may confuse it with its larger twin city located to the east, this Florida location has garnered the attention of many throughout the years for its beauty and potential to become a hotspot for tourism. And the city took notice: since the early 2000's, the now ongoing real estate boom made it the most popular real estate market of the US. 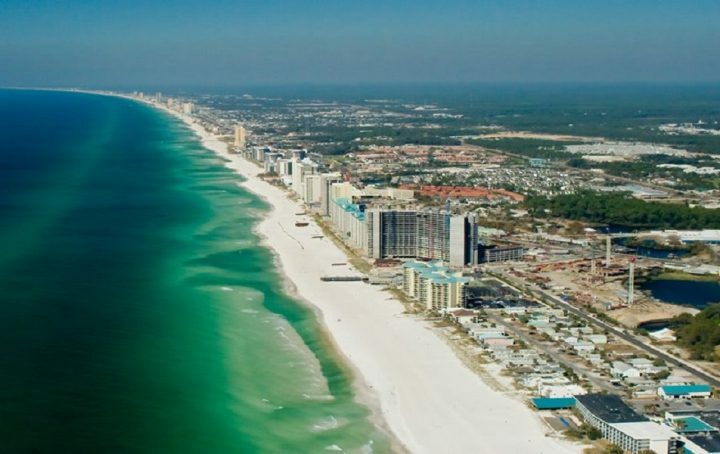 Twenty seven miles of white sand beaches bordering the Gulf of Mexico, added to its proximity to some of the main highways that connect to other southern states, make it a permanent fixture in the calendar of many travelers. And the variety of options when it comes to beaches has no comparison. Some of the most popular, like Mexico Beach or Shell Island, offer probably the most beautiful and untouched views of the clear, turquoise waters; not a very common sight in the rest of Florida. Popular among scuba divers and fishermen alike, the city prides itself of the artificial coral reefs that have created a marine ecosystem unlike any other– an added bonus to the beautiful ocean view. Although Panama City Beach is known primarily for its sights, a good visit to the city isn't complete without a stop on one of the many natural parks it has to offer. This northwestern Florida city has not one but two state parks: Camp Helen State Park and St. Andrews State Park. Along with these, the enormous Panama City Beach Conservation Park is known for its virtually untouched nature. When it comes to having fun, this side of Florida is the one you want! One of the spots visitors should definitely not miss is Pier Park. This fully equipped shopping center is much more than a place to buy stuff; it's a a whole experience. Throughout the year, Pier Park has one of the busiest schedules you can imagine, with seafood and beer festivals –if you're looking to enjoy some incredible culinary options– and the most amazing end of the year party: New Year's Eve Beach Ball Drop. Receiving the new year on the beach? Count me in! If you're thinking about visiting Panama City Beach, consider staying like a local. Online services like VRBO give you the comfort and relax of staying at a place you can –temporarily– call home. An option that, alongside a suntanning session on any of the 27 miles of beaches the city has to offer, will certainly do you good.